Unless you have a simplified and uncontested divorce, there will be depositions and hearings related to your case before any final hearing. These are hearings that I encourage you to attend, even when you aren’t required to testify. I’ve had some clients say they would rather have me just take care of it. They want to stay home or at work and have me appear in court as their representative. Some people say they’re too busy in their jobs to take time off. Others admit they are afraid of the court process or of seeing their future ex-spouse in a courtroom setting. Let me explain why it’s to your benefit to attend all hearings. I understand that it can be difficult to take time off, especially if you’re in a job that limits time away from work, but there are several reasons to view appearing in court as an important investment. I have had busy executives tell me they can’t take time away from their companies. However, I’ve found that once they go to a hearing where something about their children is involved, they usually get it. They don’t hesitate to go to other hearings. Examples of hearings can include case management conferences, where we make sure the right forms have been filed and can address any problems; and temporary support hearings, where the amounts of child support, alimony or debt payments are decided for the time period when the divorce case is ongoing. First of all, when you go to a hearing, you can see for yourself how the judge assigned to your case asks questions and addresses concerns. In other words, you get to know the judge who will be making the decisions about your life, your assets and your children. Another benefit: You can hear the arguments being made by your spouse’s attorney and witness the give-and-take that will occur as the judge considers both positions. This will give you a better understanding of decisions made by the court and why a particular outcome may have occurred. Many times, clients see only their side and believe the other side is completely wrong. However, as much as you’d like to have everything your way, in a divorce that isn’t likely to be 100 percent. In the absence of something truly terrible, such as abuse or criminal activity, the judge typically will make a decision that includes compromises. I want my clients to attend hearings when I’m questioning their spouses, such as in a deposition. I ask clients to take notes during these hearings. If something doesn’t sound correct, they can let me know, so it can be rebutted. Or if an issue comes up, they can alert me; I can decide if it’s legally relevant or not, but I want to know about it. 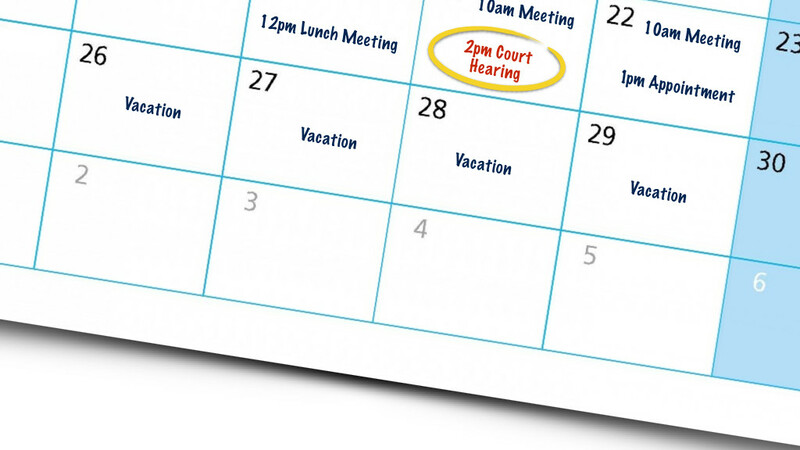 Attending hearings also will help you learn how to be ready for trial. It trains and educates you about our judicial system. You learn how to sit and what to wear, for instance, and how to answer questions. Clients who are unfamiliar with the courtroom aren’t automatically good witnesses. It’s something you learn, and a good way to do this is to attend hearings as your case progresses. The bottom line: This is a very important part of your life. And the divorce process won’t go on forever. You can get through it. At the Jeanne Coleman law firm, we’ve been helping divorce clients for more than 25 years. Our goal is to help our clients get to the place where they can start a new life that feels healthy and whole. If you are in need of a divorce attorney, we offer free 20-minute consultations. Call us at (813) 253-2820.